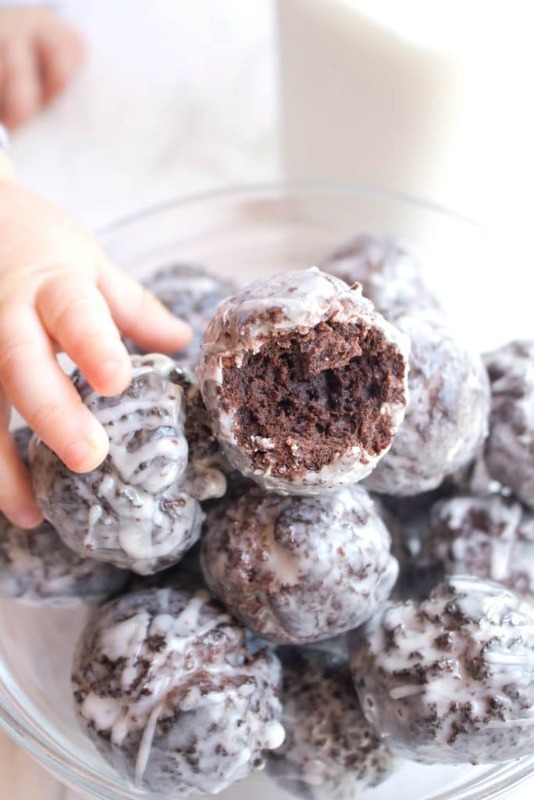 Glazed Chocolate Munchkins have a very special place in my heart because they were my after Church treat every Sunday growing up. Since going to church was definitely not my favorite thing to do, those little sweet cakey balls of sugar delight were what got me through the up, down, kneel, sit, stand, of the Catholic Church service. They were a staple of my childhood. But since moving to the West Coast, and especially Portland where people take their donuts as serious as their coffee and their craft beer, donut holes kind of fell off the radar for me. In the land of Voodoo Donuts and Blue Star Donuts, and since the Pacific NW definitely doesn’t run on Dunkin’, donut holes and specifically Munchkins, are markedly absent from the shops out here. Luckily for me, making your own are actually super easy! These guys are so much easier than I thought. AND I had everything I needed on hand! Oh, except buttermilk. But because I had whole milk and fresh lemons on hand, boom. 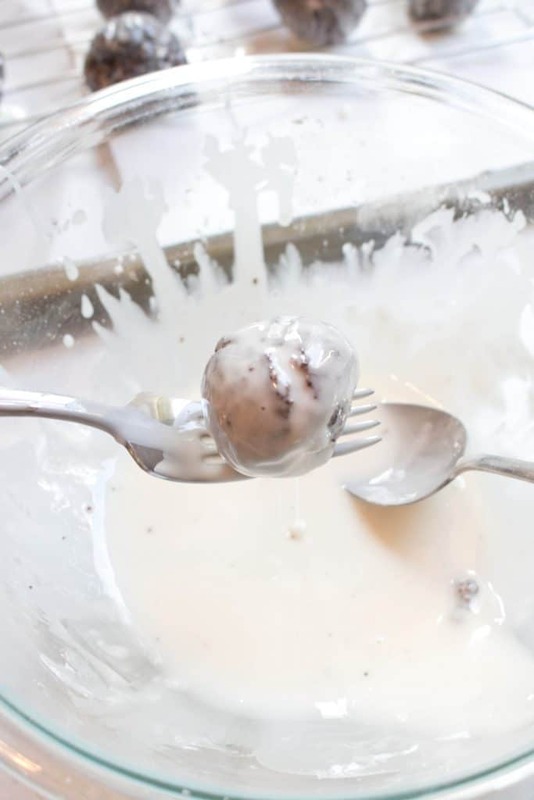 That’s all I needed for some buttermilk in the pinch – because you can make your own in 5 minutes instead of going to the store! 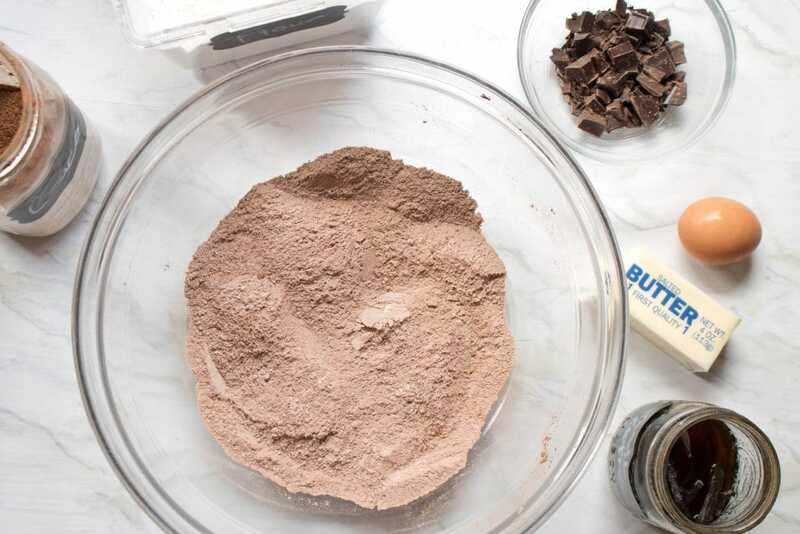 It’s just a mix of the dry ingredients, a melt of some butter and bakers chocolate, then a mix together to make a dough. From there, it’s rolling out your little “holes” before frying them in oil. They’re cakey. They’re moist. They a have a slight crunch on the outside from being fried. And that glaze. That undeniable sweet glaze. 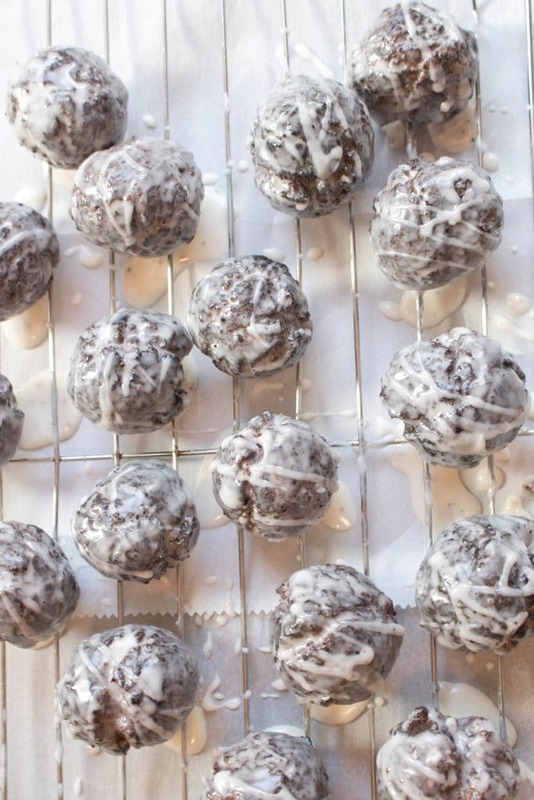 These Copycat Glazed Chocolate Donut Holes brought me back to Sunday mornings with my dad and special trips to Dunkin’ Donuts. M was in the middle of a nasty cold while I made these, but her little sister C took over as project manager. Enjoy, friends! As always, if you make this or any of my other recipes? Be sure to let me know onon Facebook, Instagram, and Pinterest! In a double boiler, melt butter and baker’s chocolate. Remove from heat. 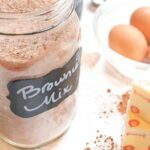 In a large bowl, whisk flour, sugar, cocoa, baking powder, baking soda, and salt. Add buttermilk and vanilla to melted chocolate. Add whisked egg. 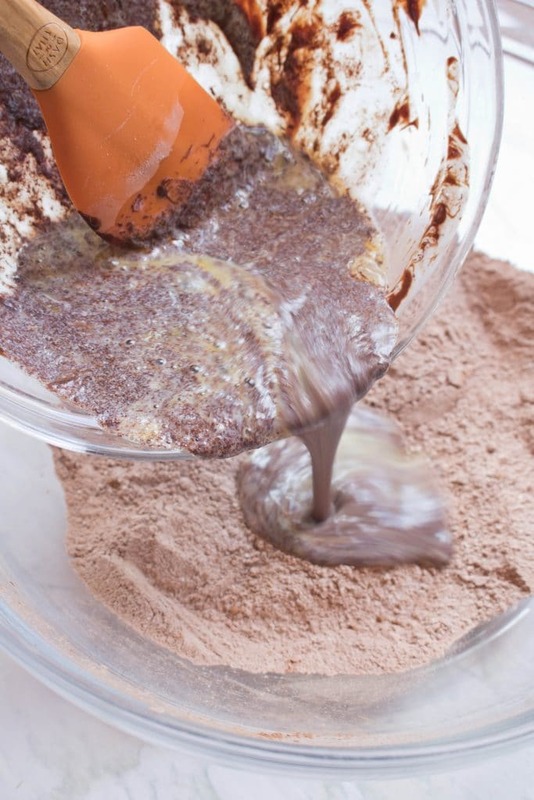 Add wet ingredients to dry and mix until combined. With your hands, mix until dough is all well combined and form into a ball. Wrap in plastic and cool in fridge for 30 minutes. 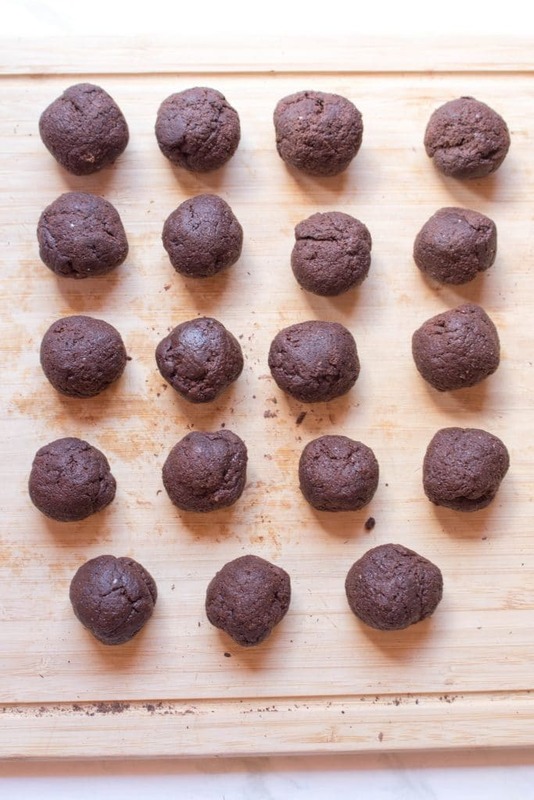 Once cooled, roll dough into 1 -2 tablespoon balls. Heat a deep skillet or sauce pan with 3 inches of vegetable oil until oil reaches 350 degrees (candy thermometers or digital infrared thermometer). Add 4 – 5 balls into the oil and fry until cooked (they’ll looked a little puffed), approximately 2-4 minutes. With a slotted spoon, remove from oil and place on paper towel lined plate. Finish with all balls. Line baking sheet with parchment paper and rack. In a medium sized bowl, whisk confectioner’s sugar, milk and vanilla until the consistency of heavy cream. If needed, add a little water and mix to reach that consistency. 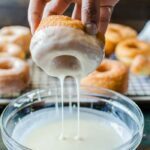 Dip each donut hole in the glaze. With a fork, remove and shake off excess glaze. Transfer donuts to rack until all donut holes are glazed. Let rest until glaze is set. Wow really these are perfect! I never knew they were this easy to make! I love donut holes! Making these tonight! Oh my! They look super decadent and moist inside. I need to try them soon, as donut holes are my favorite. I remember having to endure those Catholic services with the promises of doughnuts afterwards. For us it was always Krispy Kreme, we didn’t have Dunkin’ but just looking at these chocolatey little bites, I know its gonna be a problem for me and my skinny jeans. They look pretty straightforward to make, too, which is a good thing on a Saturday morning! Great recipe, as always, Tracy! 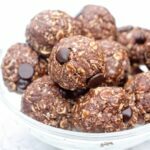 Who needs Timbits when you can make these at home. My grandkids would go wild for these. I think I need to make them next sleepover weekend. I will have to make a double batch…they will want to take some home. 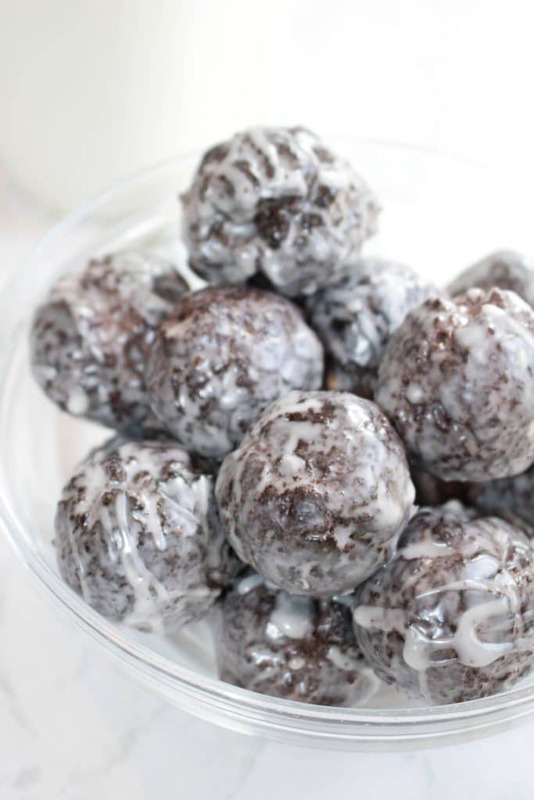 These donut holes look so delicious! Can’t wait to try this recipe soon! Oh my gosh, that little hand grabbing the donut just melted my heart. I used to pretend I was sleeping on Sunday morning hoping my parents would let me sleep so I didn’t have to go to church. Even though I’d watched about two hours of cartoons already that day. Didn’t work. It would have been easier to go if I would have gotten these donuts afterward. I’m pinning this one so I can make them when I have little hands to help! I agree that we totally run off of donuts here in Portland! 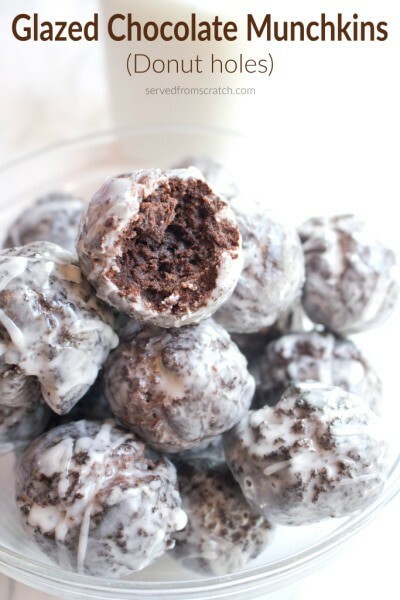 These chocolate munchkins looks absolutely delicious and definitely worth making it through a long church service for! Awesome recipe! Lovvvve me some donut holes! 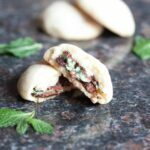 This gorgeous recipe is so easy and the results are finger licking good! Thanks for always bringing the AWESOME into my kitchen, Tracy! Oh do these look good! I love the idea of having them warm and fresh from the oven when the kids wake up. I never imagined they’d be so easy to make. Absolutely love these! I haven’t had donut holes since moving to the US, but these remind me of “Timbits” from Tim Hortons back in Canada. So they’re super nostalgic. So so great with your morning cup of joe, or for an afternoon pick me up. Never did I think to make them from scratch. Those munchkins are so cute. Just pop one or two in your mouth and it makes a fantastic snack. 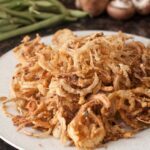 Your recipe is easy to make and they’d be great to have on hand when the kiddos come home from school or even when our grandsons come over to visit. I had no idea it was so easy to make donut holes! Way easier than making donuts and reserving the “hole.” LOL! I could eat the whole batch of these with my coffee if I’m not careful. A must try! 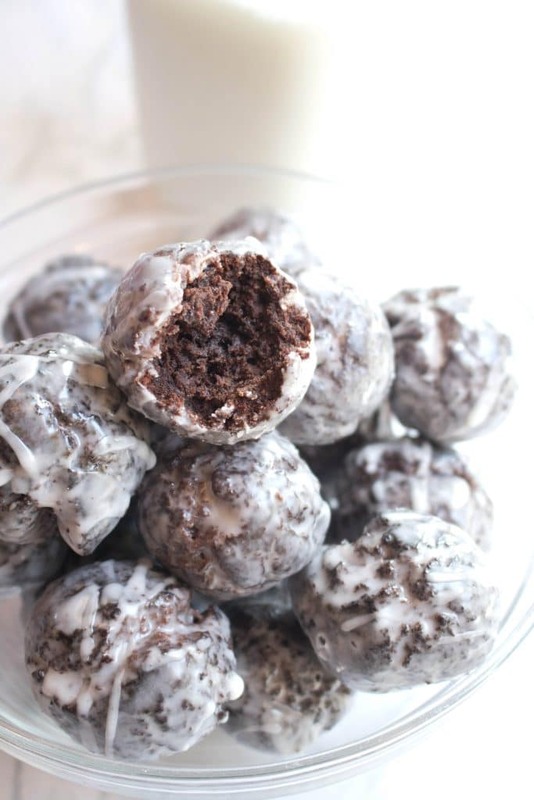 I am completely weak around chocolate munchkins! They’re always the one I go for first in the box. 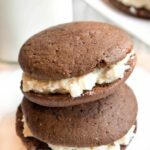 These look perfect and I’m sure they’re even better than store bought. I have some buttermilk in the fridge from some biscuits I made earlier in the week, so I think these donut holes are going to be the perfect weekend treat!